Welcome to the World’s Only “How To” guide to Antique Tractor Pulling! Are you an avid tractor puller looking for an edge on the competition? Are you a new puller that is trying to “learn the ropes” in hopes of a full pull and winning more trophies? Are you frustrated because you can’t find all of the information you need in one place that can guarantee a better hook next time you’re on the track? The only resource you may have are other pullers, the very people you are pulling against, who in my experience, have not been very willing to share all of the secrets of a great hook. Sure, you could go into an internet chat room and ask questions, but it would take months, if not years to learn everything you need to know right now. Even if you learn the tips, tricks, and secrets of pulling, you would have to spend countless hours to verify they actually work. How do I know all of this? Because I have spent the last 26 years figuring it all out. My name is Zack Peterson, and I started pulling antique tractors in 1993. After a very embarrassing pull with my 1939 John Deere H (full story on page 4), I vowed to find out everything there is to know about tractor pulling. At first, I had no idea where to begin, but by a stroke of luck I happened to buy a newer tractor–a John Deere 60. This tractor turned out to be a great way to learn about tractor pulling. Immediately, I began to learn the basics of antique tractor pulling and my goal was to focus on winning a tractor pull. I picked up tips and tricks along the way and finally got to experience victory not long after. As I went through college, graduating with a degree in Mechanical Engineering, I figured out how relevant that body of knowledge is to tractor pulling. As my success with the JD 60 grew, I began to experiment with other tractors, finding more success as I applied my principles to each machine. In 2008, I finished the restoration of a Minneapolis Moline ZA, a tractor that not only looked good, but was set up specifically for tractor pulling. Before I even turned a wrench, I considered which make & model to use, weight, engine size, and many more criteria. Once finished, it did not take long to win trophies with it. After great success with the ZA, I built a Massey Harris 101 with a 265 Chrysler engine in 2011 that proved to be an even better puller. Each tractor built since then has been stronger and more carefully planned, the most recent a 465 cubic inch build. 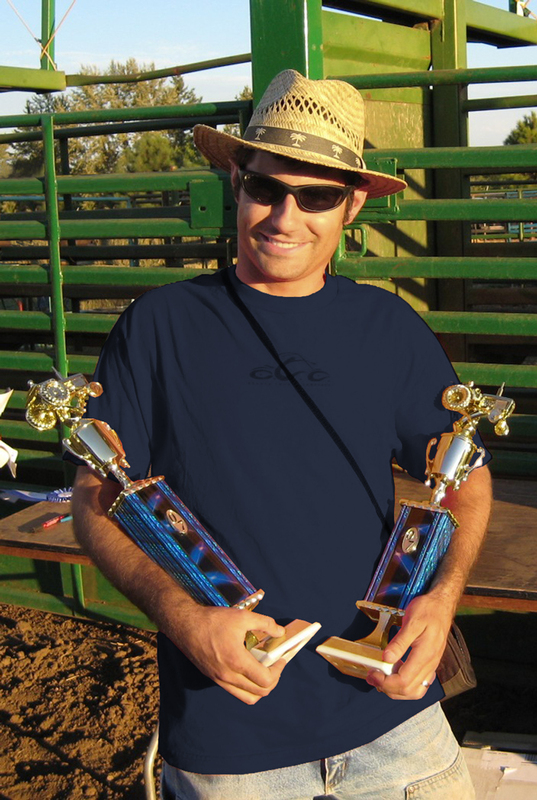 To date I’ve been very fortunate to win more than 100 first place trophies and have over 350 podium finishes (1st – 3rd place), using 14 different tractors and 6 different brands. I’m not sharing my accomplishments to brag, but to demonstrate how far I’ve come from that day with the John Deere H.
Over the years I have seen so many different tractors and different ways guys set up their machines. I’ve seen the frustration when the pull does not go according to plan, even when a lot of time and money has been invested. With almost total certainty they could vastly improve performance, investing far less time and money, thoroughly enjoying an afternoon at the tractor pull. I pulled out my data pages and spreadsheets that I had formulated before ever starting the ZA project. I figured if I could apply the process to the ZA, then it could so be applied to other makes and models. I began researching more and more antique tractor brands, trying to understand why certain models are commonly chosen for tractor pulling. It took quite an effort to research, but I knew I was on to something. Whether you are just getting into antique tractor pulling or are a seasoned veteran, you will find the information in this guide invaluable. It contains all of the detailed information you need to be competitive and to take the stress off while at the pull, all in one location. 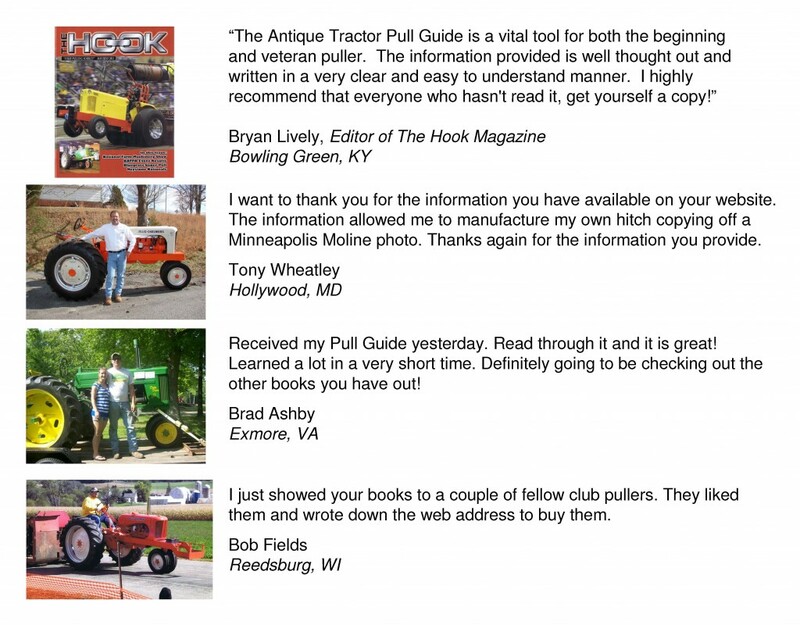 The Antique Tractor Pull Guide approaches tractor pulling from the standpoint of what actually works. It has simple, easy to follow explanations of the tips, tricks and secrets that anyone can apply right now, today. Information like this, all in one place simply does not exist! Why blindly invest thousands in your tractor, hundreds in hauling and hook fees, hoping you will walk away with a trophy? I’ve found it is much easier when I have a clear plan and direction before I ever load the tractor to go to the pull. While at the pull I have a greater peace of mind when I have a plan in place, and you can too! My goal is to bring new pullers up to speed sooner, give the experienced puller more tips and tricks to use, and to end frustration for all by simply having a resource to refer to at any time. The goal for you is simply to have a great experience every time you attend a tractor pull. 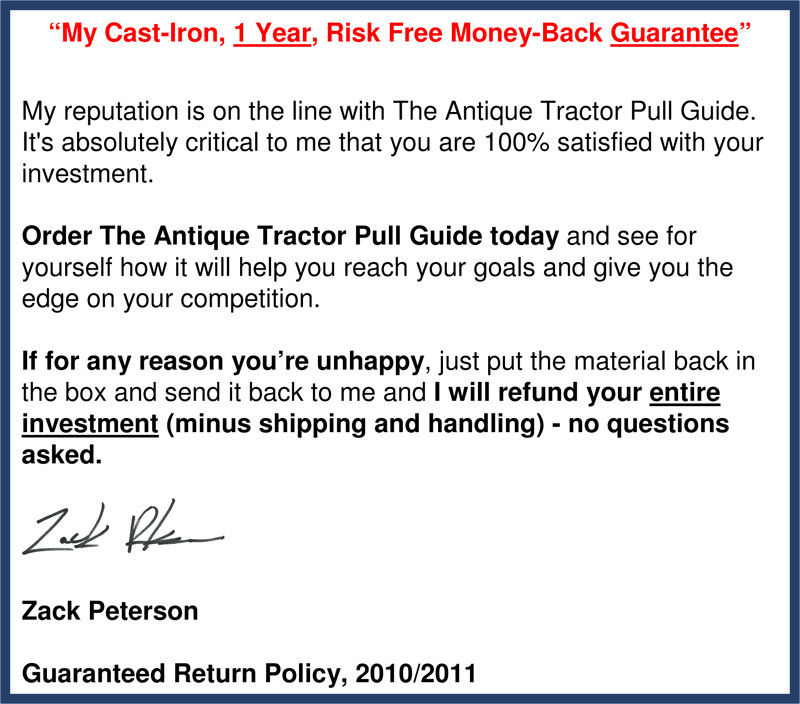 All of that said, I’m happy to offer you The Antique Tractor Pull Guide for a one time investment of just $127.00. Urgent Update: Due to a tremendous response, all copies in the last print run are sold out. Please check back for the latest information and in the meantime the Podium Premium Newsletter is available. Think about it, wouldn’t you want the knowledge in your corner at the next tractor pull? It will pay for itself thousands of times over, in bragging rights alone! Take control of the outcome of the next tractor pull. Click the link below to proceed to our secure checkout. You will be able to start right away!